Learn more about Village Perio & Implant Dentistry to see how we can best provide quality dental care and periodontal services to patients in the DFW and North Texas area. Dr. Moore, DDS, MS was born and raised in Dallas, Texas. After graduating from Texas Christian University and Baylor College of Dentistry, Dr. Moore was commissioned in the US Army as a Captain. As a Captain later rising to Fullbird Colonel, Dr. Moore has been awarded the Bronze Star, 2 Meritorious Service Medals, 3 Army Commendation Medals, 1 Army Achievement Medal, 2 National Defense Service Medals, 1 Global War on Terror Medal, and the Iraqi Campaign Medal. He has also earned the Expert Field Medical Badge and the German Sports Badge, in Gold. Dr. Moore spent 3 years as an assistant professor in the UTDB, Houston Periodontics Residency, mentoring future periodontists. Dr. Moore also worked as Chief of Periodontics at Westpoint, and has lectured to many groups and study clubs, including active duty Army groups, civilian associations and American and Iraqi military and civilian dentists in Baghdad, Iraq. He is board certified and is a Diplomate of the American Academy of Periodontology and the American Board of Periodontology. Dr. Moore will soon join the local dental organizations within the DFW area. After over 20+ years of military service, Drew and his family are excited to be back in North Central Texas, where they can be closer to family and friends in Dallas, Fort Worth, and surrounding areas. The Moore children currently attend Texas Christian University and Marcus High School. Dr. Moore owns and operates Village Periodontics & Implant Dentistry, and was recently voted as the #1 Periodontist in DFW by Living Magazine and Top 3 Periodontist in Denton County. Jane met Drew at TCU. She and Drew married in 1989 and she has been with him ever since. Jane received her BA in International Business. 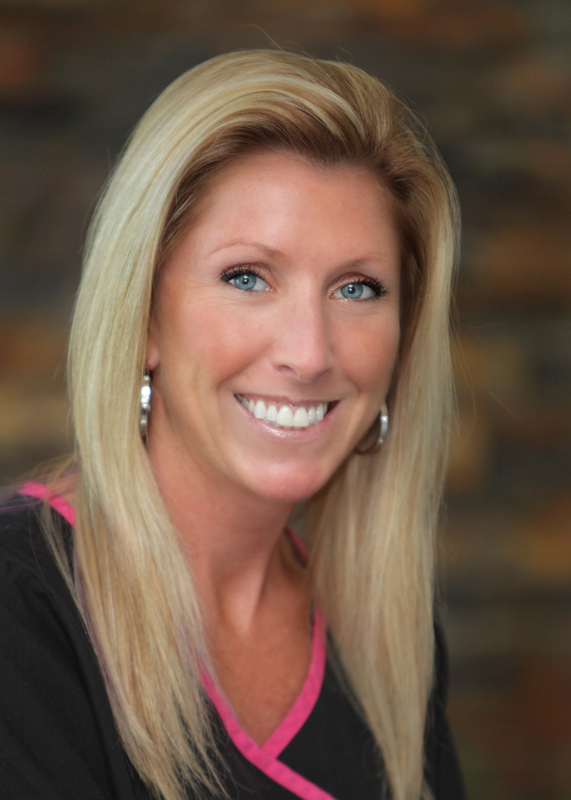 She has worked in finance, insurance, hedge funds and she is now Drew's practice manager. Nikki is our receptionist. She is caring and always friendly. Nikki has worked in retail as the manager of a Levi's-Docker Store as well as other stores for over 10 years. She also worked in the Kids' Activities Center of Lifetime Fitness. She enjoys spending time with her husband and kids. She plays and coaches soccer.